We are pleased to announce that we have secured a small number of additional tickets for Travel Club members for the Semi-Final against Croatia. Update 1pm 11/07/2018: Unfortunately we have not been able to obtain any further tickets for tonight's match against Croatia. I appreciate that there are a number of fans still requiring tickets, however we have been advised by FIFA that more are being released on their website. Update 12.30 10/07/18: We are now able to offer category 1 tickets to Travel Club members on 60 active caps and above until 2pm BST. PLEASE NOTE: We are not accepting any further requests to be placed on the waiting list for the semi-final match tomorrow. UPDATE 10/07/18: We are now pleased to be able to lower the caps level to 65 caps. These tickets will only be offered to Travel Club members who have 65 active caps or more (originally it was 70+). If you sit just below 65 active caps (even if by one) please do not call and attempt to purchase a ticket. We understand it may be disappointing to be just beneath this caps level however please be aware we will be unable to offer you a ticket under any circumstance. Travel Club members who qualify can call 0800 389 1966 on Tuesday 10th July between 10am to 12pm (Midday, UK Time). The initial ticket application window for Travel Club members began back in December 2017. Any tickets we did not sell within that ticket application window were released back to FIFA to sell via their own Ticketing Website. Therefore, although we did not sell out our given allocation at that time, this does not mean we now have access to those seats. Naturally we understand some members will be disappointed however, based on FIFA’s application process, all supporters were given the opportunity to purchase tickets to this match between 5th December 2017 and 31st January 2018. We will however continue to lobby for additional tickets; we advise all members to check this website regularly for further updates. In the meantime you may wish to keep an eye on FIFA’s Ticketing Website for any tickets that may be released there for this match. FIFA have already relisted a number of tickets in all three categories for Wednesday's match, and we expect more to released in the coming days. Mark, not everyone could afford to add to their credit card bills when the tickets first went on sale on the off-chance that England made it this far. If you could that's good for you but there is the possibility that some very loyal fans - who travel all over Europe and occasionally beyond - will miss out whilst people who seldom go to away games will get tickets simply because they could speculate back in February. Been on FIFA website for 2 days with no joy and travelled 3 countries and now in Moscow ticket office say they have been receiving returns etc but they are for website, which is clearly not working correctly! We all have different circumstances and not everyone could afford to put a minimum of £384 extra onto their credit cards - some have lives beyond 11 men kicking a ball about - and if you could afford then we're all very delighted for you. Can't blame the FA for the appalling FIFA site and it is truely appalling. Like many I wasn't prepared to give FIFA/UEFA their 2 yearly interest free loan and now it looks like a tout will get my money. Mark Chapman and Phil Bowker looking through the lens of their collective elitist prism,dear oh dear! It’s kinda perverse to want to be outnumbered by corporates,tourists and opposing fans whose respective FA’s have done more to want their own fans at the tournament and be the 12’th man/women,whilst ESTC openly scorn those who the temerity to chase up tickets for a World Cup Semi Final no less! Think it’s incredibly unfair that some of you guys are having a pop at the FA. You, like the rest of us had the opportunity to purchase your tickets for the latter stages through various stages, but for your own valid reasons, decided not too. Blaming the ‘football family’ again is unfair? Every association in the world does the same, so you should have expected this? If your son/daughter/mate was a player, or had a contact, you’d be snapping their arm off for a ticket now, so don’t blame others for doing the same. And kicking off because the boys have out performed against expectation, and now you want to be there just shows everything that is wrong with some of the people on this forum. Well done FA for getting any additional tickets for the fans who ‘didn’t believe’. If your going to be p*ssed off at anyone, sun it at the FIFA portal, which is a shambles. Just because you’ve changed our mind, and decided you want to attend the biggest game of football on the planet, and a ticket hasn’t fallen into your lap, who’s to blame? 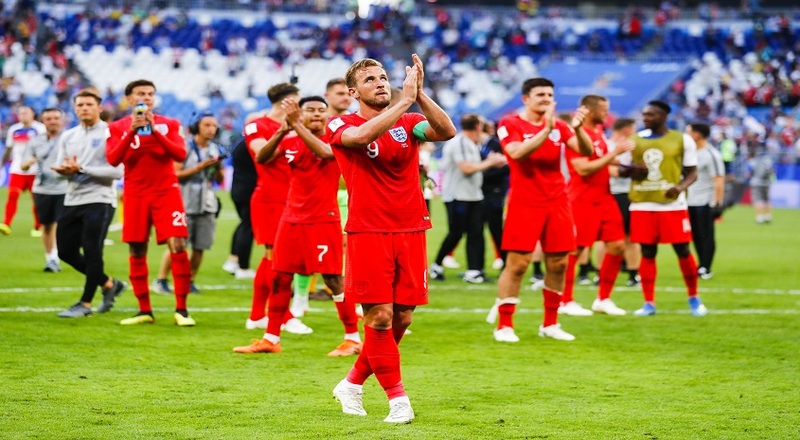 Gary Holliday, you've been to 3 away matches where everyone who applied for a ticket got one, congratulations that you're going to the final and far more loyal fans aren't simply because they have responsibilities in life or don't save their money by NOT going to see England play away. No, honestly, we're all really happy that you have no financial constraints and are going to the final because, clearly, you're such a lovely and modest man. How dare I baulk at committing to this tournament from the outset of ticket applications when there was a clear media conspiracy to keep numbers of England fans attending low,something I’m convinced our Government and Russia were in favour of! As a carefree 20 something I too would have had blind faith and gone regardless,but with age comes responsibility and the need to take other people’s feelings into account! Thankfully the scare stories and propaganda have amounted to nothing and it’s natural that fans put off initially now want to experience the long awaited positivity after many years of experiencing a desert,500 tickets for the ‘FA football family’ is still a disgrace,ESTC underwhelming tone in dealing with fans who’re desperate for a ticket also leaves a lot to be desired,getting the Luzhniki packed with as many English as possible should be a dutiful privilege and not a chore,if that isn’t the feeling I can only assume some people are in the wrong job! Define ‘far more loyal’? I’ve been in the travel club for 2 years? So I’d say I’ve done pretty well to be honest with 30 caps? But thank you for your (not remotely) valued opinion on my commitment. You don’t know me, don’t know what responsibilities I have? So who are you to make assumptions? I have a mate on many more caps than me, that (similar to you, for his own reasons) chose not to go for the latter round tickets when they was available. He (like you) is now desperate for a ticket. The difference being, he accepts responsibility for the decision he made. And not blame the FA or other fans that did make that choice, because that you now have the finances available, and unbelievably, somebody, at the FA or somewhere else didn’t say ‘hang on, we better save a ticket for Lee in case he decides to come if we do well’? I 100% get that it’s frustrating pal. It’s also frustrating to me, when I missed out on Scotland away. Because so many of your ‘more loyal’ fans took tickets and didn’t show up to collect them, so the seats were left empty. It is equally frustrating when I speak to several high cappers (more loyal?) fans out in Russia, who haven’t been to Wembley in years? They just purchase the tickets and sell them on or give them away? Yeah, far ‘more loyal’ than me with my genuine 30 caps in 2 years I’m sure you’ll agree. Having a pop at me for my attendance in the last 2 years, or your expert opinion on my life/responsibilities does not bother me in the slightest pal. I’ve had an unbelievable time in Russia. And will continue to do so. I’ve met some great fans, and some not so great, all on varying caps levels. I don’t agree with the FIFA process of taking payment months before the tournament. But it is what it is? (I don’t remember seeing loads of posts moaning about it at the time? This is also my first World Cup, but I understand this is the normal/standard FIFA process?). I also don’t understand how Mexico/Panama/Colombia have had some many fans at some games, when we could only get 3500 tickets through the FA. Good luck sourcing a ticket. I hope you, and every single English man, woman and child that tried to get one is successful. But life is about responsibility and accountability for the decisions we make. Not blaming others when things don’t go our way. But good luck anyway pal. Great to end on a post about how live is full of responsibility after a tirade against those saying that it was financial responsibility that prevented them from buying tickets for the Final... Stay classy, eh? Cracking tempt to twist my point fella. Bravo. Wouldn’t expect anything less from a member of the ‘woe is me’ brigade. Good luck with the ticket (I genuinely mean that). As being at the games, we need as many passionate English fans there as possible. is it compulsory to be a sanctimonious Bell when adorning a Hi Viz singlet,asking for a friend?